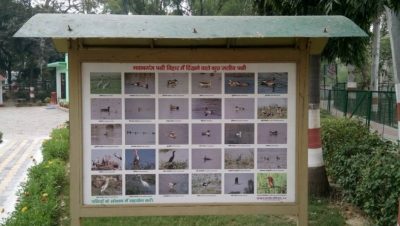 Nawabganj Bird Sanctuary, renamed in 2015 Shahid Chandra Shekhar Azad Bird Sanctuary, is a bird sanctuary located in Unnao district on the Kanpur-Lucknow highway in Uttar Pradesh, India consisting of a lake and the surrounding environment. 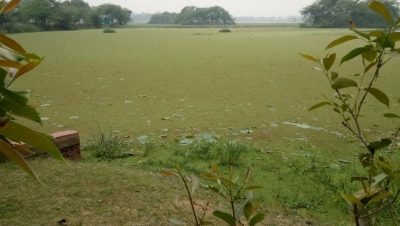 It is one of the many wetlands of Northern India. The sanctuary provides protection for 250 species of migratory birds mostly from CIS(or formerly USSR) countries, but the numbers have been dwindling since the 1990s, most having relocated to newer areas in Himachal and Rajasthan. The sanctuary also houses a deer park, watchtowers and boats. Lucknow International Airport is the nearest Airport which is 35 Kms from the Sanctuary. 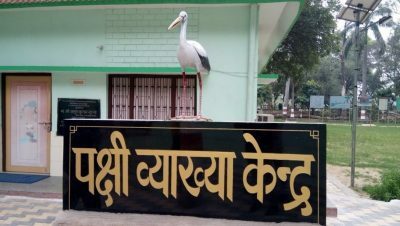 The Nawabganj Birds Sanctuary is 45 Km from Kanpur railway station and Lucknow railway station is 55 Km from the Sanctuary. One can very easily get taxis and buses from these places to sanctuary.